Tropical cyclones (TCs) have a major impact on the surface wave field and interior ocean dynamics on the Australian North West Shelf (NWS) because of the extreme atmospheric forcing on the ocean surface. This project will use both field observations and process-based numerical modelling techniques to identify the dominant physical processes that are involved during extreme TC events, including exploring interactions between wind stresses, surface waves and currents. Specifically, I will determine the effects of wind-wave energy transfer, bottom friction, as well as the intensity and propagation speed of TCs on the spatial and temporal characteristics of the surface wave field. First, I will study the dominant physical processes that determine the surface wave fields on the NWS during a TC event, including both local response in proximity of the TC’s center and indirect remote ocean impacts far away from the TC’s core. 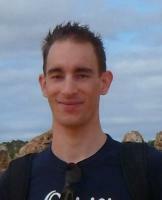 Second, I will study surface wave transformation over a fringing coral reef during a TC event by determining the relative importance of physical processes such as dissipation by bottom friction, wave breaking and locally generated wind driven currents and waves, in relation to the spectral wave shape across a fringing coral reef. Finally, I will focus on the relative contributions of the surface waves and wind driven- and tidal currents to the induced near-bed shear stresses in the inner shelf region during a TC event. These findings will help to significantly improve our ability to understand and predict the ocean response to tropical cyclone forcing on the Australian North West Shelf. 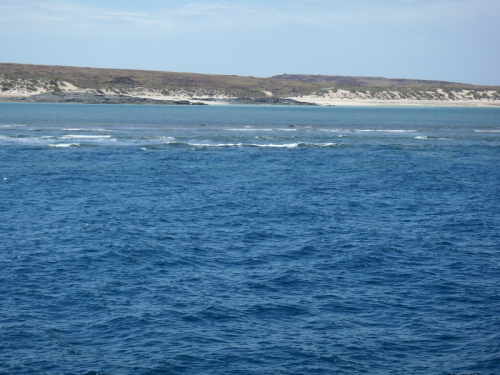 The Australian North West Shelf (NWS) is important because its ecological feature, like fringing coral reefs, provide a vital habitat for (threatened) marine species. Meanwhile the NWS is of great economically importance for Australia because of its oil and gas production. Designing criteria for offshore infrastructure on the NWS must allow for extreme oceanic and atmospheric forcing to prevent environmental contamination, loss of capital and to ensure human safety. My research project will eventually couple surface wave and inner ocean response explicitly, which has never been done before in the Australian NWS region.